Since 2002, Maroon 5 has had amazing success, selling more than 10 million albums worldwide. 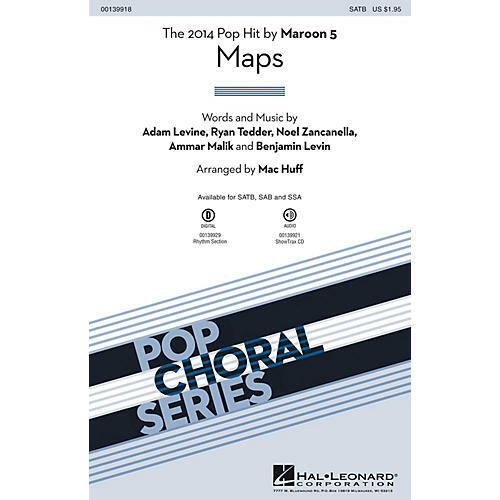 Maps, from their 2014 album V, is an uptempo chart hit, with great guitar riffs and a fully harmonized chorus that works great with pop and show choirs! All the roads you took came back to me / So I'm following the map that leads to you. ScorePlay - click to view score with recording.